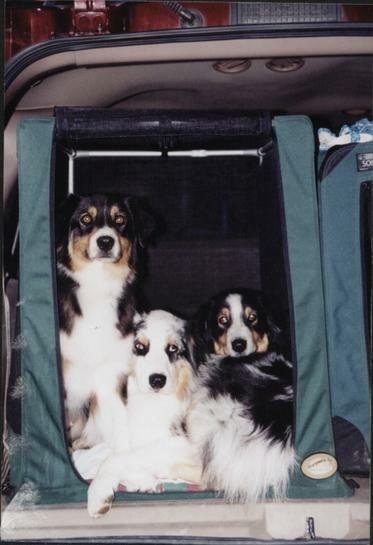 Welcome to Crystal Peak Australian Shepherds located in sunny Reno, Nevada. 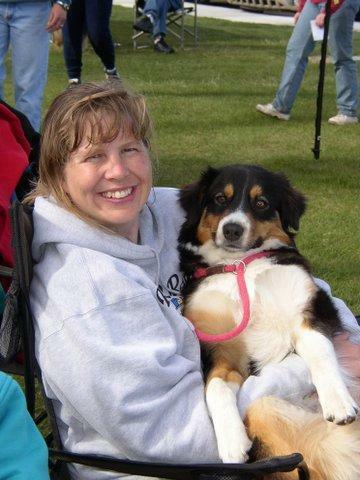 We are a small hobby breeder team consisting of mom Sherry and daughter Katrina. Our dogs are all fed a high quality diet and given minimal vaccines to help insure the longtime health and vitality of our much loved companions. Lacy favorite place to be: In my lap. Both of us love to do a variety of dog sports with our dogs. The connection and close bond that training and competing with a dog creates far surpasses that of just a average pet in our opinion. That does not mean our dogs have to have a job in order to live fulfilling lives however. We are known in our area as having very easy to live with dogs. They are happy loving companions in a moderately active family. They love to go everywhere with you and are great hiking, camping, and traveling buddies. They will lounge on the bed with you one minute and be ready to go the next minute when you ask. The primary performance focus for us is in agility. 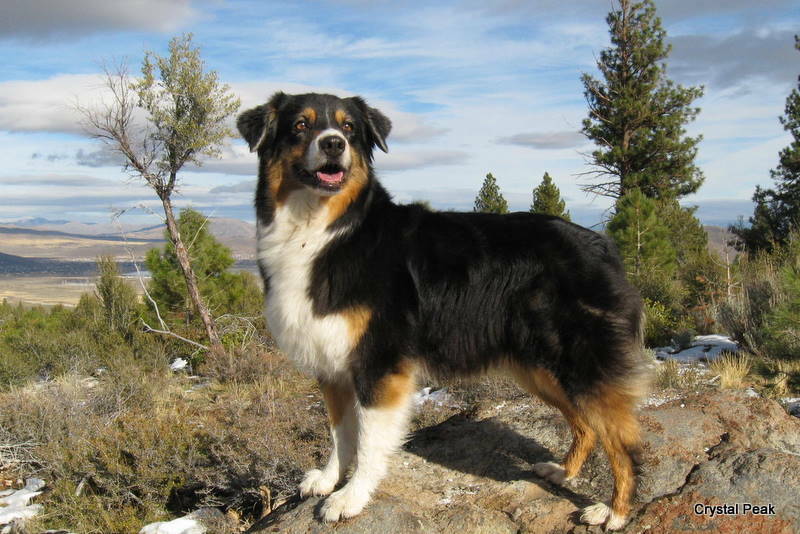 We feel this wonderful sport showcases many of the traits that Australian Shepherds are known for. Physically agile, sharp intelligence, and a high desire to please and work for you as a team are all attributes that allow Aussies to excel in the agility venue. 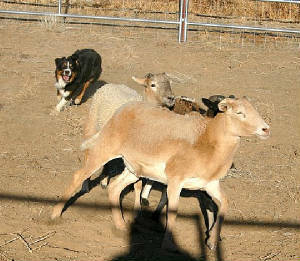 We have recently gotten some of our own sheep. 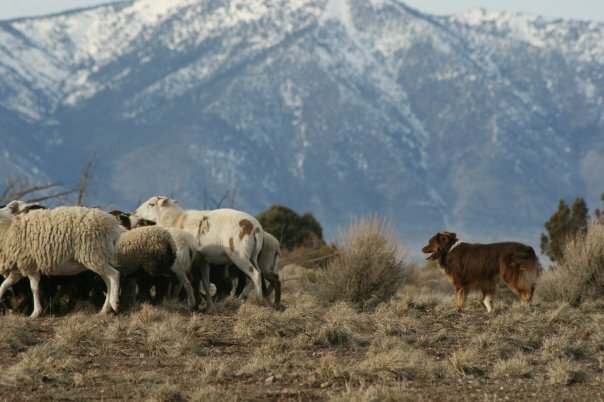 We are very excited to be able to test and train our dogs in the purpose that the breed was intended for: working stock.